A Supercheap Auto gift card is sure to get any car buff's engines going! Supercheap Auto has over 10,000 different items in each of the 274 stores across Australia and New Zealand. They'll love their choice of anything from batteries, car care, and accessories, to lighting, navigation, and stereo systems. The Gift Card Terms and Conditions set out all the conditions applicable to the use of our gift cards. You will need to familiarise yourself with the Terms and Conditions before you place an order. 1.6. "you" or "your" means a reference to the person who is in possession of the Gift Card at the relevant time for the purposes of these Terms and Conditions, or who authorises another person to do something with or to the Gift Card on their behalf. 3.1. Purchases with your Gift Card: Goods may be purchased from our store or on our website by selecting the goods and taking them to the point of sale operator in our stores or on our website. When making an in-store purchase, the operator will request the Gift Card to be swiped in the pin pad, and for the Gift Card serial number and Access PIN to be entered into the pin pad. When making an online purchase, instructions will be provided on our website for the Gift card serial number and the the Access PIN to be entered to complete the purchase. The transaction will be completed when the balance has reduced on the Gift Card. No change will be given - any remaining balance on the Gift Card (“Remaining Card Value”) can only be used in whole or part against future purchases subject to these Terms and Conditions. 3.2.4. for purchases by email, phone or fax. 3.3. The Gift Cards that are purchased directly from www.supercheapauto.com.au in the same transaction will be pre-loaded and activated at the same time/concurrently. 3.4. You agree that we will reduce the Remaining Card Value by the value of all purchases of goods and services that are processed against the Gift Card. 3.5. Your Gift Card may only be used to make purchases up to the Remaining Card Value. If you wish to make a purchase for an amount that exceeds the Remaining Card Value, you must pay the excess using another payment method. 3.6. You cannot obtain any cash advance with your Gift Card or redeem your Gift Card for cash. 3.7.1. Your Gift Card will be valid for use up to the expiry date shown on the Gift Card. Any balance that remains on a Gift Card will not be available for use after the card's expiry date. 3.7.2. 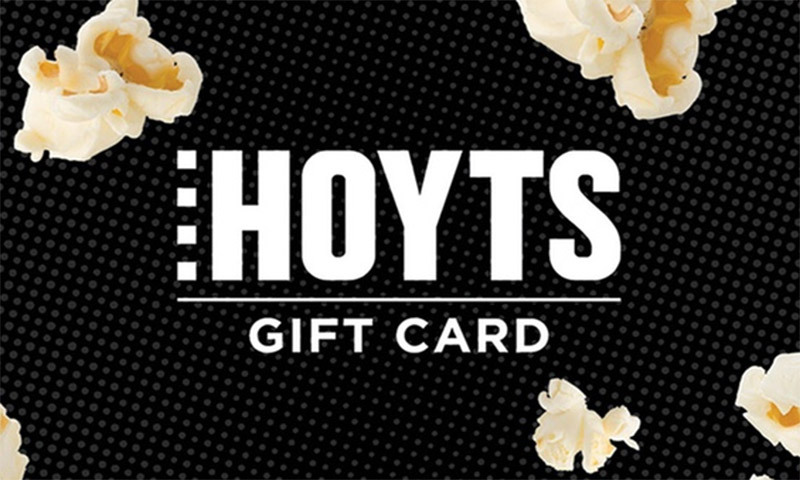 To check the expiry date of your Gift Card, call 1300 55 33 80. You must convey the 19 digit Gift Card serial number and the Access PIN to our call centre operator. For balance enquiries online, you will be required to enter both the Gift Card serial number and Access PIN on the designated page of our website prior to getting access to the card information. 3.8. Re-issue of faulty or damaged Gift Cards: The Gift Cards shall not be replaced by Super Cheap Auto Pty Ltd unless the Gift Cards are proven to be faulty or damaged as a result of the production process or otherwise due to the fault of Super Cheap Auto Pty Ltd, its employees, agents or contractors. 3.9. Destruction of Gift Card with no value: Once the Remaining Card Value is completely used, please destroy your card by cutting it in half diagonally. Your Gift Card cannot be reloaded. 4.1. Please treat your Gift Card like cash. Lost or stolen cards will not be replaced or refunded. 4.2. Can I exchange my Gift Card?You cannot exchange your Gift Card for a different brand, denomination or type of Gift Card or for another tender, cash or discount. 5.0. Your Gift Card, your responsibility:You are responsible for the use and safety of your Gift Card. You are liable for all transactions on your Gift Card, except to the extent to which there has been fraud or negligence by us or by any of our employees. 6.1.5. where we, acting reasonably, consider that it will not be to your detriment. 6.2. Changes to these Terms and Conditions will be available at www.supercheapauto.com.au or by contacting 1300 175 010. 7.1. Generally under copyright laws the owner of the copyright in images or photographs is the person who created the images or took the photographs. You represent and warrant to us that you are the owner of the copyright or have the express permission of the owner of the copyright in the images or photographs which you submit to us. 7.2. We claim no ownership rights in any photographs and materials you submit to us. You grant to us and to our third party service providers, a perpetual, worldwide, non-exclusive, transferable, royalty-free, copyright licence to copy, reproduce, display, modify, adapt or alter, transmit, and distribute your photographs and materials for the purpose of allowing us to provide you with the Gift Card you have requested. 7.3. You warrant that you will not make any claim against us or our third party service suppliers, for any use, publication or copying of the photographs and materials you have submitted to us and you waive all rights of action or other claims you may have now or in the future against us in respect of any such use, publication or copying. 7.4.1. We respect the intellectual property rights of others. If we receive a complaint alleging that you have infringed copyright, we will refer the complaint to you for resolution. It will be your responsibility to resolve any such complaint. Should you not resolve the complaint satisfactorily and advise us, in writing, of the resolution within seven (7) days of the date we refer the complaint to you (the "Referral Date"), we reserve the right, in our absolute discretion, to suspend your Gift Card and/or your order (“Order”) for the Gift Card until such time as the complaint is resolved. If you do not notify us within thirty (30) days of the Referral Date that the complaint has been satisfactorily resolved, we reserve the right, in our absolute discretion, to terminate your Order and/or permanently suspend your Gift Card. 7.4.2. If any person makes any claim against us or our third party service suppliers, claiming that any of the photographs and materials you submit to us, or any use of them, infringes any copyright, or other intellectual property or moral right of any person, company or entity, you indemnify us and our third party service providers against all costs, claims, loss, damage, demands and expenses (including all reasonable legal costs, fees and expenses) arising directly or indirectly out of such claim. 8.1.2. When you provide us with personal details (including but not limited to) your name and contact details, the information will be used as permitted by you and only for legitimate business reasons and we have established policies and procedures to ensure that all your personal information is handled in accordance with the law. 8.1.3. So that we can fulfill your order and generally provide products and/or services to you, we may ask for personal details such as your name, address, telephone number, email address, merchandise information (purchases, orders etc), method of payment, and/or your preferences. 8.1.4. Generally, you have no obligation to provide any information requested by us however, if you choose to withhold the requested information, we may not be able to provide you with the goods and/or services that depend on the collection of that information. 8.1.5.6. provide offers that are of greater interest or benefit to you. 8.1.6. We may also use your personal information in other ways to provide you with improved and enhanced goods and services. This may include using your personal information to advise you of new products and services. 8.2.1. When you visit our website, our website will automatically send you a “cookie”. 8.2.2. A cookie is a piece of text from a web server to your computer, and is used to identify you only by a random number. This information does not personally identify you, but it does tell us that your computer has visited our website and what areas of the website you have browsed. 8.2.3. You can decline cookies by adjusting the setting of your browser, however this may affect the functionality and accessibility of our website and other websites. 8.3.1. We may share your information with third parties for the purpose of promotional and direct marketing offers which we believe may be of interest to you. 8.3.2. Where possible or without diminishing the purpose of the disclosure, we try to ensure that our disclosure of information to other organisations (e.g. researchers, marketers and other organisations with whom with have commercial arrangements) is in a way which does not personally identify the individuals. 8.4. Access to Your Information: We will provide you with access to any of your personal information we hold (except in the circumstances recognised by the privacy law). If you require access to your personal information, please contact us on 1300 175 010. Of course, before we provide you with access to your personal information, we will require some proof of identity. For most requests, your information will be provided to you free of charge. However, to the extent permitted by law, we may charge a reasonable fee if your request requires a substantial effort or resources on our part. 8.5. Other Sites: We are not responsible for the privacy practices of websites that are linked to our website. Please take care at all times to check the privacy policies of those websites you are visiting. 9.1. Gift Cards: If you have reason to believe that an error has occurred in relation to your Gift Card, you should call 1300 175 010. 9.2. Goods or services: subject to the law, any complaints about goods or services purchased with a Gift Card must be resolved directly with the store concerned. 10.0. Force majeure: To the extent permitted by law, we will not be liable to you for any loss or damage (whether direct or consequential), nor be in default under these Terms and Conditions, for failure to observe or perform any of our obligations under these Terms and Conditions for any reason or cause which could not, with reasonable diligence, be controlled or prevented. These causes include acts of God, acts of nature, acts or omissions of government or their agencies, strikes or other industrial action, fire, flood, storm, riots, power shortages or failures, sudden and unexpected system failure or disruption by war or sabotage, and other acts or omissions of third parties. 11.0. Applicable law: These Terms and Conditions are to be construed and enforced in accordance with the laws of Queensland, Australia. Any dispute arising from your receipt or use of a Gift Card is exclusively subject to the jurisdiction of the courts of Queensland, Australia (including the Federal Court of Australia, Queensland Registry).